Meghalaya has a number of valleys, highland plateaus and lush green hills and is speckled with big waterfalls. The abundant richness in nature and geography has made it possible for adventure tourism to boom in the form of aqua sports – kayaking, rafting, scuba diving to a leisurely angling. Once you from water to land you would discover many picturesque and unexplored trekking trails and camping options. Meghalaya is the homeland mainly of the Khasi, the Jaintia and the Garo tribes, and you could experience that rich tribal culture by staying in the villages and participating in local festivals and tasting the delicious food. As you further move from land to a higher plain you would encounter zip lining, rock climbing and further, it doesn’t stop here the state is a hub of pre-historic caves and most of them unexplored. In fact, most of the region is unexplored and that’s where Rustik Travel has gone deeper into the region to bring out these amazing experiences for you to discover and explore. Diving (and Snorkeling) in the clear pristine river waters of Meghalaya is a truly amazing experience. Beginners and non-swimmers are first given a brief introduction to the physics of diving and the use of scuba equipment. After the briefing is a short lesson on the two basic skills of diving that is conducted in a pool or a confined water space. Once individuals are comfortable with the scuba gear underwater they taken for one dive in the river to a maximum depth of 10 meters. Certified divers have the option of going to deeper depths. In addition to this you could undergo certification course from basic level to professional level. Move over Rishikesh and Zanskar here are the swelled rivers of Meghalaya. With great rapids and natural beauty abound this is indeed an unique rafting experience very different from the known and the crowded rafting destinations. We have different grades rating from 1 to about 3 and is dependent on the amount of rainfall the area receives. The sites we have are perfect for beginners, providing a safe environment and a thrilling experience. The clear rivers of Meghalaya with endless water supply due to the rains is perfect for Kayaks. Kayaking, still a growing sport in India has many fans from all over the world though and they along with their Indian counterparts converge into Meghalaya to explore the virgin rivers of the state. Its truly developing into a true world class kayaking destination with unending rivers and waterfalls. Kayaking is a true adrenaline generator and often meant for experienced “Kayakers” but there are enough opportunities for beginners as well in the shallow and relatively still parts of the Meghalayan rivers. Jumping off a cliff from a naturally occurring or human-made surface. It is usually situated above sufficiently deep water. Our sites provide natural platforms for one to jump off. Different heights to jump off are available for those who want to experience a bigger adrenaline rush. If you head out of Shillong in any direction, you will be in an unchartered trekking country with evergreen hills, ever flowing river with virgin beaches, unending waterfalls, hospitable tribals with quaint and beautiful villages. The path doesn’t end. There are multiple known and yet unkown paths and trekking trails strewn all over the state. You just need to start somewhere and we would help you support your quest throughout the way. Meghalya is synonymous with caving or cave expedition. There are a large number of caves in the Jaintia, Khasi Hills and Garo Hills districts, and are amongst the longest caves in the world. Of the ten longest and deepest caves in India, the first nine are in Meghalaya, while the tenth is in Mizoram. The longest is Krem Liat Prah in the Jaintia Hills, which is 30,957 m (101,600 ft). The annual caving expeditions organized by Meghalaya Adventurers Association (MAA) are known as “Caving in the Abode of the Clouds Project”. The caves, because they are located in primarily in limestone formations, continue to come under threat from the limestone mining industry. The exploration of the Caves of Meghalaya is currently undertaken for both scientific and recreational pursuits, and there are still many unexplored and partially explored caves in the state. Another experience for you to explore. Get away from urban life to a remote area where one can enjoy the pleasures of birdsong, the sound of rushing water, the crunch of leaves beneath your feet, the wind whistling through the trees. Enjoy all this with all the adventure activities mentioned above and have the experience of your life. All age groups are welcome and will stay in tents or thatch lodges of their choice. Meghalaya with its unique geography and hills is abundant with rocks and boulders ideal for rock climbing. The place is a haven for climbers of all age groups and of different climbing expertise – beginners and professionals. We also teach the basics of the art of rock craft and also more importantly the safety measures required for rock climbing. We also teach rappeling which is descending of a vertical surface, such as a cliff or wall, by sliding down a belayed rope that is passed under one thigh and over the opposite shoulder or through a device that provides friction, typically while facing the surface and performing a series of short backward leaps to control the descent. And for the experienced climbers we together explore new climbing routes. Meghalaya as most of the North East seems to be remote and inhospitable, but that is not the case at all. With one of the most friendly communities, cleanest villages and homestays, Meghalaya is at the forefront of community and village tourism. All one needs to do is head out with a backpack. Move from one place to another, live in the homestays with the villagers, experience the local food and culture. One should definitely visit and stay in the following villages. We can also arrange volunteering work in the villages nearby and various projects. Those interested can help villagers in the farms or be of some assistance at local schools or similar community projects. All this to add to the authentic Meghalaya flavour. Land in Guwahati. Proceed towards Cherrapunjee. On the way have lunch at Ri-Kynjai resort overlooking the pristine beauty of Umiam lake. Stay overnight at Cherrapunjee. After breakfast visit Kshaid Dainthlen & Arwah cave. Before 12pm proceed to Mawlynnong ‘Asia’s cleanest village’. Hike around the village and visit the living root bridge & the oldest house in Nohwet and then proceed to Shnongpdeng. Overnight stay in homestay/camp at Shnongpdeng by the Umngot river side. Early morning enjoy the water activities in Shnongpdeng like Kayaking, rappelling, boating, scuba diving, snorkelling on the crystal clear water of Umngot river. In the evening proceed to Lyngiong. You may also opt for a traditional massage service and may request for a bond-fire to enjoy the evening with your loved ones. Overnight stay in in Lyngiong. Proceed to Mawphlang and hike around the sacred grove around 2-3 hours. Enjoy packed lunch in the midst of nature in the sacred grove. Proceed to Shillong and visit Don Bosco Centre for Indigenous Cultures which is a famous museum that is known for preserving the culture of the various tribes and communities of Northeast India. In the evening you are free to explore the Police bazaar & bara bazar. Overnight stay in Shillong. Early morning trek through the David Scott Trail for around 6 hours. It is an old trekking route and one of the most popular trekking routes in Meghalaya, David Scott Trail Shillong has been named after David Scott, a British office. The vehicle will pick up from Sohrarim and then proceed to Shillong. In the evening you are free to explore Shillong market. Overnight stay in Shillong. The Laitlum canyons are literally translated as ‘End of Hills’, or ‘Edge of the World’. And it is fact that Laitlum nestled at great heights, and is surrounded by vast rocky hills and valleys. Once atop the panoramic Laitlum Canyon, a visitor is greeted with a majestic view of the grassy valleys and tiny hamlet called Rasong, which lies deep below the sheer gorge amidst nature’s lust greenery grandeur in all its beauty of the Laitlum gorge. Laitlum Canyons is a lesser crowded tourist destination. The bollywood movie Rock On 2 was shot here. Overlooking the beautiful landscape and amidst the nature, its a great place for a hike followed by a picnic lunch. Post lunch on the way back to Shillong visit Lingsad at Smit & Cathedral church. Smit is an old rustic town and the cultural centre of the East Khasi hills. 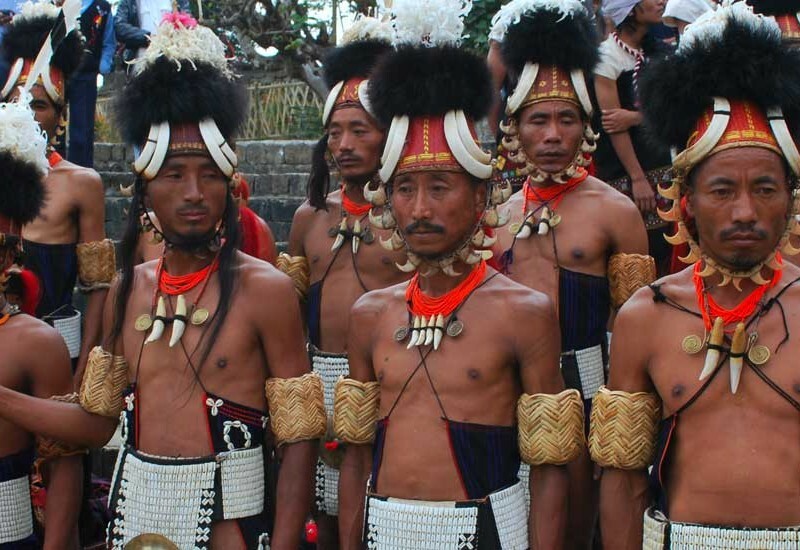 Lingsad is the place where the Khasi king perform the traditional rituals every year. Traditional dance where the royal family also take part takes place once a year in this place. For dinner seat may be reserve at Cafe Shillong Heritage which is one of the best restaurants in Shillong. Overnight stay in Shillong. After breakfast visit the Cathedral church which is on the way and drive to Kaziranga National Park, Assam. Evening free to explore the resort leisurely. Overnight stay in Kaziranga. Early morning Elephant Safari. After lunch, go for the jeep safari. Overnight stay in Kaziranga. After breakfast drive to Guwahati. Onward to your destination. Accommodation with breakfast (as specified in homestay, guest house, 3, 4 or 5 star hotels) with hot/ cold water and extra bed. Exclusive Non-AC vehicle including toll, parking, fuel, permit fees and driver expenses for transfers & sightseeing as per itinerary. Entrance Fees for sightseeing spots, where applicable. Elephant and jeep safari at Kaziranga. Any cost arising due to natural calamities like, landslides, road blockage, political disturbances etc. to be borne by the client, who is directly payable on the spot. Any items not mentioned in inclusions. 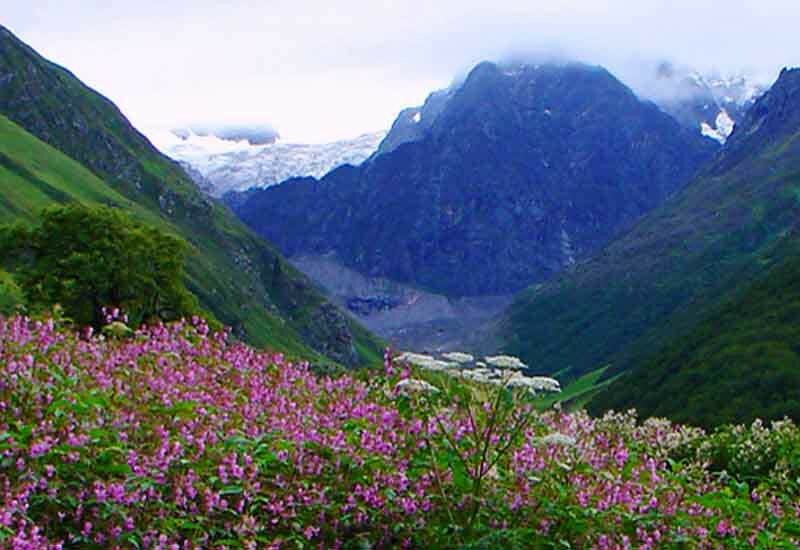 Not much needs to be said about the Valley of Flowers trek. It is one of very rare treks that has a space dedicated to it on Wikipedia and rarer still, a place among the UNESCO World Heritage Sites. The name rightly suggests that it is a Valley full of Flowers and the spectrum of colours on display is unreal when you go there in months between July and September. The Valley has over 300 different species of flowers that have been identified and each of these are in full bloom during the season. 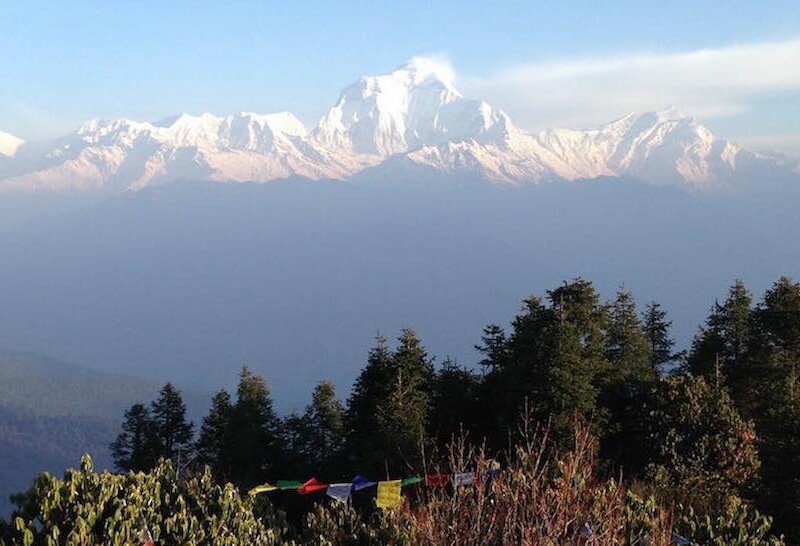 Annapurna circuit trek is one of the most popular treks globally. 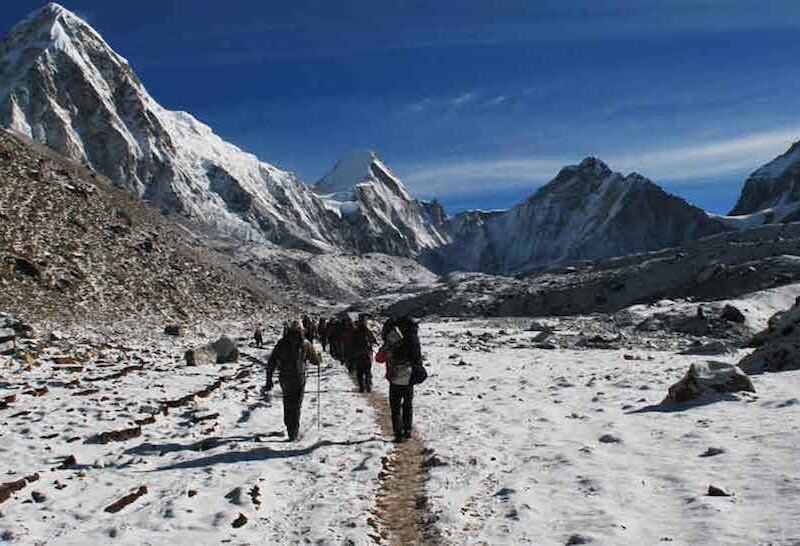 The trek is an eclectic mix of beautiful nature, majestic mountains and colourful culture. In many ways it’s also a spiritual journey passing through some of the holy places of the Hindus and Buddhists. Annapurna circuit trek that takes you all the way to the top of The Throng La Pass at 5,416 m/17,769 ft. starting from an altitude of just 800 meters. This exotic trek that circles Mt Annapurna takes you from the beautiful green natural wilderness of Manang to the snow covered height of Thorung La all the way to the desert hills of Mustang.